C vs C++ - Which Programming language is better? 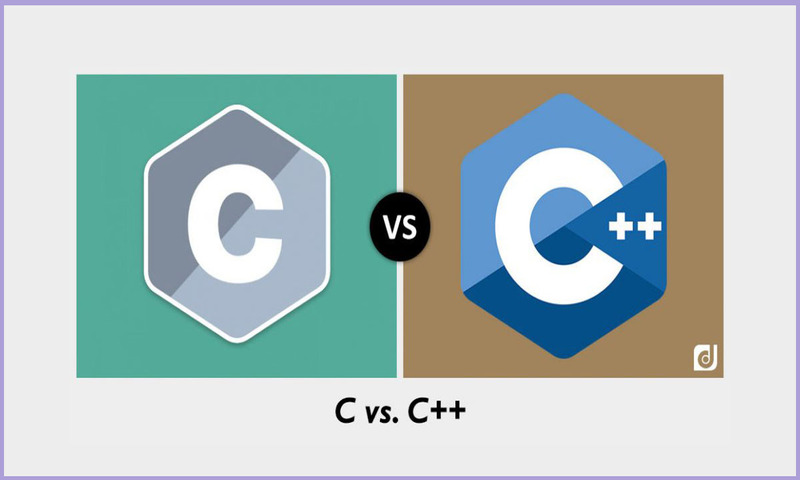 C vs C++ – Which Programming language is better? Which one is better? But first, let me introduce their features and the length of their being around in the software engineering world. Let’s begin with C, is a general programming language and was invented in 1970, it is used for the salvation of the computer operating system kernel to the user interface, Later on, In 1980 C programming was modernized. C++ programming language was introduced in 1998, and it is a modernized C programming language with enhanced features, which aims at overcoming the problems the C programming was unable to. So, C++ language is much younger than C.
The major difference between C and C++ is that C is a procedural programming language and does not support classes and objects, while C++ is a combination of both procedural and object-oriented programming language; therefore C++ can be called a hybrid language. There is still a question which language is better, I will say it depends for what purpose they are used. If one is working on the project that includes more than 250,00+lines of code, Python or C++ is the best to be used than C language.If one is working on a fast program, then usage of C program is more convenient, e.g. some programs that need to manage video should use C programming language. In other cases, C++ language is more convenient as it facilitates the complex structures such as list management, windows, while C language needs more manipulations with pointers. Coming out from the above information it really depends on what kind of program you are working, both have the features that are compatible in this or that situation. Both are ultrafast languages, whereas other one’s Python and similar scripting languages are much slower in execution (not compile time). But still if a project is small and requires quick resolution, it is better C language to be used and for bigger and profound projects, C++ language is more recommended. Comparing these two languages is like comparing old cars with new ones. Their destination is the same, they are means of transportation, but older ones have basic features for moving while new ones have more advanced technics and enhanced features that require profound knowledge and approach. C is the computer programming language considered to be the basis for many of the modern high-level programming languages such as Java, C#, and C++, they have the basic features of C language and in addition, they have more enhanced and far advanced qualities. They boost developers speed and commitment. C is a system programming language and C++ is of general purpose used the unembedded system. C does not support classes like C++ does and to add, C++ can be used to C programming as it has its basic features and we can say that it derived from this programming language. If a web developer knows C++ he knows C language as well. C++ is more object orient while C is more procedural. C++ translates to productivity and organization of code and is a boon for more complex applications, it is very suitable for fast apps and server software. It has benefits of high-level and low-level programming languages; its features: speed and performance make C++ more convenient for usage and it goes well with other languages. So, envisaging all the above information it is difficult to tell which one is better, each of it has its benefits in a certain situation.Their usage depends on performance and speed. But C ++ being more up-to-date and enhanced with so many features is better in most cases, though we should not forget the benefits of simplicity of C is the computer programming language which in some cases does more than C++. Is there any tutorial base course of C++? ?